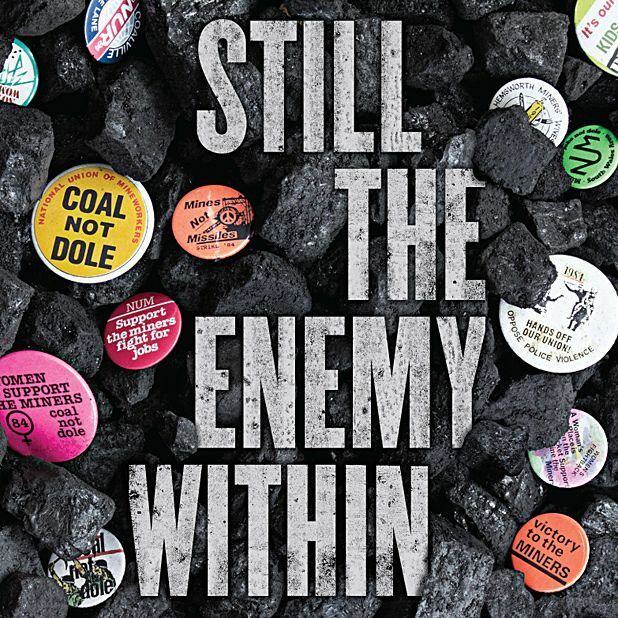 An interesting companion piece to the acclaimed comedy Pride, providing pertinent social history in the context of current debates about privilege, representation and poverty in modern Britain, Still the Enemy Within is a thorough account of the 1984-5 UK miners’ strike from those who were on the picket-lines. Ex-miners, their wives and other supporters relate with frankness, intelligence and unquenched fire how it was to be caught in one of Britain’s most devastating conflicts between state and workers; a situation that saw Margaret Thatcher’s government go hell for leather to destroy the power of trade unions and to put thousands out of work, while Arthur Scargill’s National Union of Mineworkers strove to overcome resistance from some pits to enforce strike action without a ballot. You don’t have to be a teary-eyed old lefty to sympathise with the men and women who lost their livelihood overnight, nor a heartless neo-liberal to see that a change was on its way for the British energy industry. Alternative ways through the morass are an awkward moot point that Owen Gower's film largely avoids, and it could perhaps have done with some contributions on that front from economists or historians with an overview of Thatcher’s choices. What is shockingly clear, however, is just how entrenched, angry and uncompromising both sides were, how many suffered, and how little progress can be made in any debate once everybody’s blood is up. Yet the film also emphasises how thrilling and empowering the strike and associated social activism were for those involved. Alongside the anger in these interviews burns evident nostalgia for the solidarity that grew up in communities whose government had limited interest in helping them through the devastation its policies were set to wreak, and a substantial investment in demonising them to help usher in cheaper ways of making profits. Limited release from Fri 3 Oct.